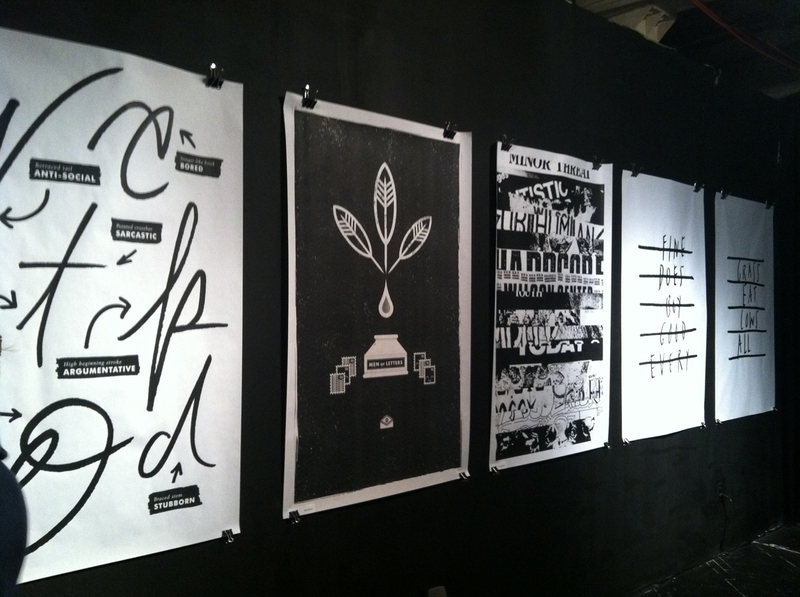 I was asked to be a part of the Penmanship show at Vox Populi, something curated by the very talented Grayhood, Mikey Burton, & Elysse Ricci, which was subsequently a kick off to the Design Philadelphia week, which I also had the chance to do some posters for. Needless to say, I was excited to be a part of the excitement! Because of the freedom and looseness to the theme, it left me at a loss for quite a bit. I sketched and sketched which sadly only resulted in failing ideas. I finally revisited the quote and looked outside of the quotations for some inspiration. 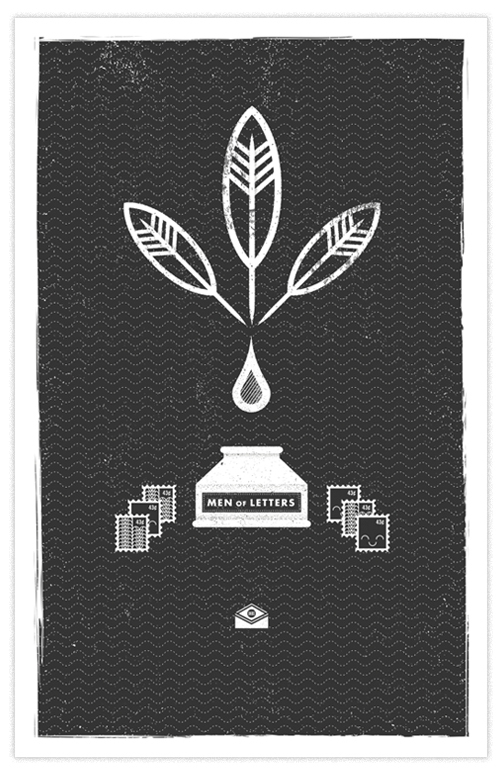 I imagined what it would be like if there was a club or society called “Men Of Letters.” This took me in a new direction and it brought me to where I ended up. I wanted it to be representative of the act of making lines to form the letters of the alphabet, but also then the idea of taking those letters to form words, and those words to compose letters that you send in the mail. It was really beautiful to see all the posters hanging together, knowing everyone put some serious thought into how they would represent this idea. For having some many designers take part in this, there was an obvious variety to the work, but also and impressively, a synthesis to everything. The show will be up until the 23rd, and I strongly suggest trying to make it out. I’m also hearing rumors of a closing show??? I’ll let you know if that’s happening. Probably though twitter. It was also awesome to finally meet some people who’s work I’ve been following and admiring for some time and find out that they are regular people. Okay, some are super humans. But they still occasionally participate in some normal human activities. This entry was tagged design philadelphia, elysse ricci, grayhood, man of letters, matt goold, men of letters, mikey burton, Nom Now, Penmanship, penmanship show, philadelphia, philip dormer stanhope, philly, Poster, posters, vox populi. Bookmark the permalink. Too many compliments too liltte space, thanks! These are excellent! I see those skills being used to redesign The Factory logo in the fall! Not that the original isn’t great, but it needs to be redone for the Philadelphia market! Yep, I’ll be staying here!